Venice Free Walking Tours are organized by professionals who encourages sustainable tourism, supports local businesses, local culture and traditions. Venice free Walking Tour is a local network of independent guides and tour leaders and was created with the purpose of supporting authentic and local Venice, the one that we sincerely love. We are not a part of a big multinational company, but members of Free Walking Tours By Locals. All of the tours we provide are entirely prepared by our guides and they are the result of their hard work and study, instead of being a standard script prepared by a big multinational company. Each tour is both fun and educational, the perfect introduction to the city and its thousands of years of history. A good tour guide is far more than just a part of the tourism market. A good tour guide is a friendly greeter and an ambassador of the city. We all live in Venice and we will tell you things about Venice that you cannot find in the most common travel book. All our guides have a degree in different disciplines – Art History, Architecture, Sociology, Economics, Foreign Languages and each of us has a different perspective, different guiding style, different route and personality! One thing that we have in common – passion for this special place and willingness to share it with you. 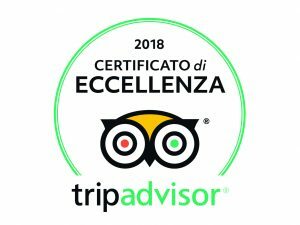 We have decided to become Venice Free Walking Tour guides because we believe it’s a great contribution to Venice and its visitors to offer everybody a chance to attend a 5 star tour leaving to your free decision to set the price according to your possibilities and satisfaction instead of setting a fix price. This way thanks to your generous donations we can keep guaranteeing these tours also to those who couldn’t normally afford a pre-payed tour.